The SL BAR 620 is a powerful LED linear fixture built on the popularity of the SL BAR 640 / 660 luminaires offering unprecedented output and exceptional color clarity. 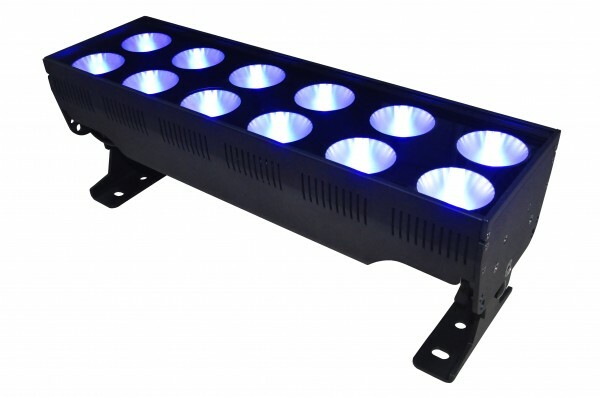 Ideal for any entertainment application, the fixture built on the popularity of the SL BAR 640 / 660 luminaires stunning output whether used for illumination or direct view purposes. Designers agree the uniform, homogenized RGBW output makes a bold statement in any production. Both fixtures use a standard 60o beam angle providing uniform color mixing and illumination for a variety of applications. Whether used in place of R40 strips, border-lights, foot-lights, cyc-lights or for exciting animations, the luminaires provide incredible coverage and color washing abilities. The SL BAR 620 includes standard mounting brackets for floor or pipe mount. Mounting brackets feature secure lock off and a tight profile to insure close placement to further insure smooth beam spreads. Units are designed for daisy chaining and include cable management for clean cabling and easy set up.